There are several AWeber alternatives, although probably only two or three that can offer anything like the range of features that AWeber can. In fact, to be truthful, there are not many alternatives to AWeber for email marketing that can offer what this comprehensive list building autoresponder can offer, although those below can likely provide all that you need for a working autoresponder and email marketing system. We are not discussing free autoresponders here, because with the best will in the world, no free software can match what AWeber has to offer. There are too many features associated with a top of the range autoresponder for any free email marketing service to be able to match adequately, including full support, list-building systems and multi-list management options. GetResponse is AWeber’s nearest competitor – and vice versa many would say. Each of these is an excellent choice and both are strong at building subscription lists, providing a good choice of customizable opt-in forms, building emailing lists and enabling you to write compelling text and HTML emails. 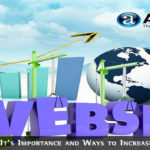 Like AWeber, you can choose between single or double opt-in and the software provides the facility to create ‘thank-you’ pages and offer free gifts and services in return for the contact details. Just like AWeber, GetResponse can email your entire list with a single broadcast mailing, or deliver emails at preset intervals. This allows you to deliver the various parts of a course weekly, monthly or at any interval of your choice. Both also offer excellent statistics, including mails delivered and opened. You can split test using different headings and even times of delivery to specific countries. GetResponse enables you to add existing lists to your account. Recently AWeber added this option, you can directly add existing list or you can ask each individual member of your existing list to re-register with a resultant massive loss of registrations. People will stay on a list but most object to having to join it again or will simply ignore your email. So, if you are using a free autoresponder such as MailChimp, and want to extend your capabilities by using a more professional autoresponder with more features, it is easier to do this with GetResponse. GetResponse will also enable you to program an email to be delivered whenever a reader clicks to a specific post on your blog, or goes to a certain link. AWeber does not do this. In this respect, it is one of the best alternatives to AWeber, if not THE best. There are other reasons for using GetResponse if you are looking for alternatives to AWeber for email marketing. Check out our autoresponder reviews for more information. You get a 60-day free trial with Constant Contact, so you can check for yourself whether or not this is a genuine AWeber alternative. It offers a good selection of opt-in form templates, and the ability to program the delivery of your emails just as AWeber does. Constant Contact is strong on social media interaction, providing a social share toolbar and individual buttons to share your messages through Facebook, Twitter and LinkedIn. However, while you can find out how many likes, shares, retweets and other social interaction your email campaign receives, you are provided with neither analysis of emails opened and read, nor information on clicks made on links within your email. This is an omission that reduces the viability of Constant Contact as a genuine AWeber alternative. It also fails to provide Google Analytics reports which many autoresponder users rely upon for their traffic stats. While AWeber provides such statistics itself, many people like to have them all together in their Google Analytics account, which is why AWeber incorporates the compatibility. You can setup your Google Analytics account to track clicks to your opt-in form and also form submissions and confirmations. You can also track clicks on links within your emails, and while doing this involves integrating your AWeber and Google Analytics accounts, it is not difficult to do. You cannot do this with Constant Contact. For this major reason, Constant Contact is not a viable alternative to AWeber, not without the analytics. 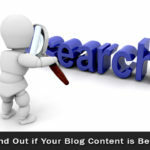 The features that are present might make this an excellent autoresponder for many people, but not for serious professional bloggers or internet marketers. Campaigner is an excellent autoresponder for small blogs or home businesses, and it has been developing steadily over the past two or three years. It offers you around 600 email templates with themes that enable you to create beautiful opt-in forms with designs that are related to your business. Its segmentation facility enables you to split up your list into segments based upon such factors as your list members’ historical purchasing activity, geographical location or length of membership. You can then focus individual emails to specific segments of your list that best meets their particular needs. Split-testing of email designs can be carried out, and social sharing is also a feature. 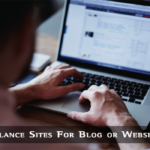 Bundled together, all of these features of Campaigner render it a genuine AWeber alternative for bloggers who also want to integrate Google Analytics into their email marketing programs. Campaigner also offers insight into the platforms used to open emails: mobile platforms or PCs. It is a genuine AWeber alternative that is worth the 30-day free trial at least. Unlike the AWeber alternatives above, Sendy is not a cloud-based, but is a self hosted email marketing autoresponder. The initial price is $59 and it’s yours – though you can use each license on only one domain. It works on Apache servers running a Unix-like OS and requires PHP and MySQL. Most web hosts offer this type of system. You first have to install the software, but it is fairly easy to do if you follow the instructions properly. Once installed you can use Sendy for as big a list of addresses as you want. The price does not increase with the size of your list. This is a big advantage to those with large lists, costing them over $100 every month. Sendy uses Amazon SES (Simple Email Service) to send your emails, and is easy to use. You can use forms to collect email addresses, but you can also add names and addresses to your list manually. Most other emailing services do not allow this. Sendy itself offers no form templates: you have to design your own. However, there are many services online that offer such forms, and Sendy has promised to include these in future versions. The main advantages of Sendy are its price and its simplicity. 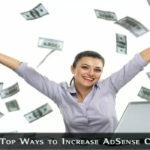 It is easy to use and to set up campaigns, and you can also save a great deal of money. The ability to manually add addresses to the database is a significant benefit. You can send your subscribers to different lists and different thank you or download pages. Sendy reports include delivered, clicked, opened, unopened, bounced, unsubscribed and marked as spam.’ The major issues are a lack of subscription forms, only email support, no split testing and no list segmentation. However, in spite of all that, Sendy is an excellent option if you have a large list. Even better if you are technically minded, because the code can be edited to make Sendy more suited to your needs. Not only that, but there is an active forum offering lots of hints and tips. If you have an issue you should find the answer there. Conclusion on Sendy – highly recommended but check out its free demo first (not an active trial, but a demonstration of its features). So many people like the free version of MailChimp that it would be remiss of us if we ignored the paid version of this basic autoresponder. All free autoresponders are basic in nature, even though they may vary in the range of features offered. The reason for that is that if you have not paid for a service, you cannot complain if it is withdrawn and you lose your entire list overnight! That is the main reason why no free service is a viable alternative to AWeber. So what’s different with the paid version of MailChimp? Those that use MailChimp swear by it. Many believe that MailChimp is the #1 autoresponder available, although many of those that claim this also claim that Constant Contact is #2. Why is this the case, and what does MailChimp offer that AWeber and GetResponse do not for this claim to be made? You can find the answer to this question on the review sites or blogs that make this claim. They appear to have used nothing else other than MailChimp and Constant contact – and why not! If it has met all their needs then why seek something more extensive and expansive. MailChimp and Affiliate Marketing: AWeber has much better support than MailChimp, but one thing to keep in mind is MailChimp’s attitude to affiliate marketing. If you are involved in affiliate marketing on your blog, then you are likely to find MailChimp closing your account without warning. It has happened to many people, and even though MailChimp say they warn people first, this does not seem to have been happening. That is why MailChimp is not an AWeber alternative – not yet, anyway! Affiliate marketing is an important income stream to many bloggers, so why does MailChimp punish them for using it? It’s not illegal and Google positively encourages it! The autoresponders discussed above have been included because all are popular with their own users. It appears to be a matter of horses for courses, and if you have used a specific autoresponder, and it has met all your needs, then why change! 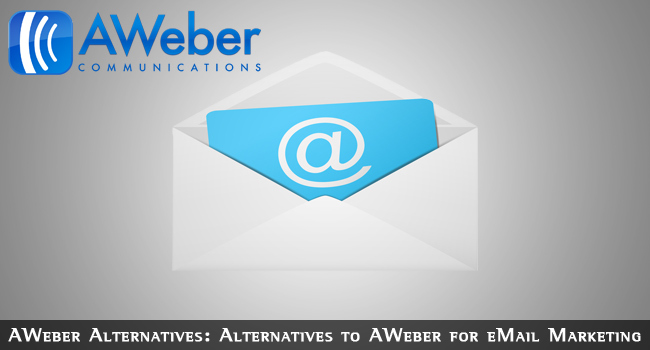 However, in a discussion of AWeber alternatives, not all of the above are true alternatives to AWeber. They may very well be good autoresponders, but not all of them offer all the features and services that AWeber does, including the support and analytical services it provides. Nobody who has not used AWeber can argue against this. Finally, let’s discuss prices. As previously stated, no free autoresponder is a genuine AWeber alternative. When considering pricing it is important to understand what is being offered. Prices can be for monthly payments all the way up to annually. Naturally, if you can afford to pay a year in advance, then the price will be lower. The prices here are based upon monthly payments. Thus, AWeber offers the account at $19/month, $49 quarterly or $194 annually. An additional charge is applied for subscribers over a specific number, such as 500. Free or reduced-priced trials are offered for the first month or more. These are detailed in the first line in the table below. We have compared prices for the first 50,000 subscribers only. The prices quoted are per month. Prices taken from relevant autoresponder website on April 03, 2015. Sendy: A straight $59 one-off payment irrespective of the number of subscribers. No Free Trial. MailChimp also offers Pay As You Go service, where you can buy credits if you don’t send emails often. You pay 2 cents or 3 cents per email according to the number of emails you send. If you send 2,000 emails in a month this would cost you $60. Why would you want to do that? You would need 5,000 subscribers to make it worthwhile, and then only if you sent 1 email to only 2,000 of them! Of the paid systems, GetResponse, Sendy and Campaigner are currently the best available alternatives to AWeber for email marketing. There are others available, although none seem to have yet reached the very high standard set by these three. Purely on your ability to easily import other lists, we rate GetResponse first, although its superior scheduling options are also very attractive. If you have a large list Sendy will save you a lot of cash, particularly if you like to add subscribers manually as well as by form. MailChimp has its fans, and it is an excellent free autoresponder. However, once you reach a certain level of payment, only AWeber, GetResponse and Campaigner appear to provide a full autoresponder and emailing service with superior analytical capability for bloggers. Email marketing is too important to trust to less than full professional services, and GetResponse, Sendy and Campaigner appear to meet that definition as genuine AWeber alternatives.